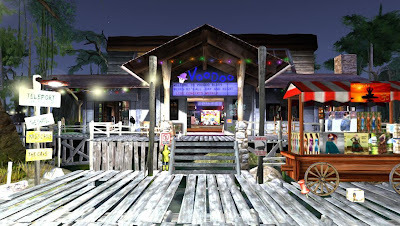 Mardi Gras is today, and there is no better time to visit virtual New Orleans destinations in Second Life. 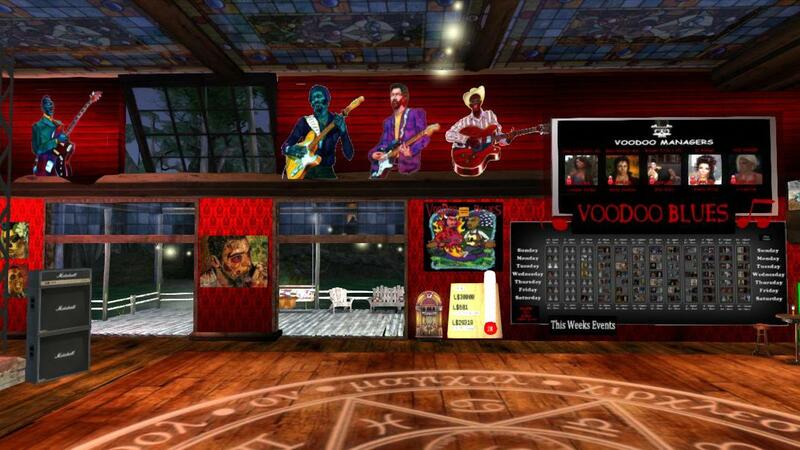 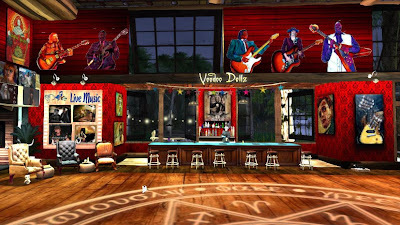 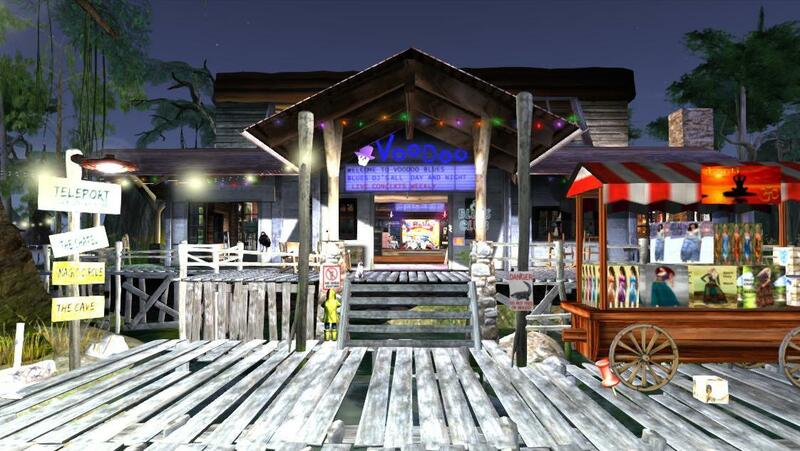 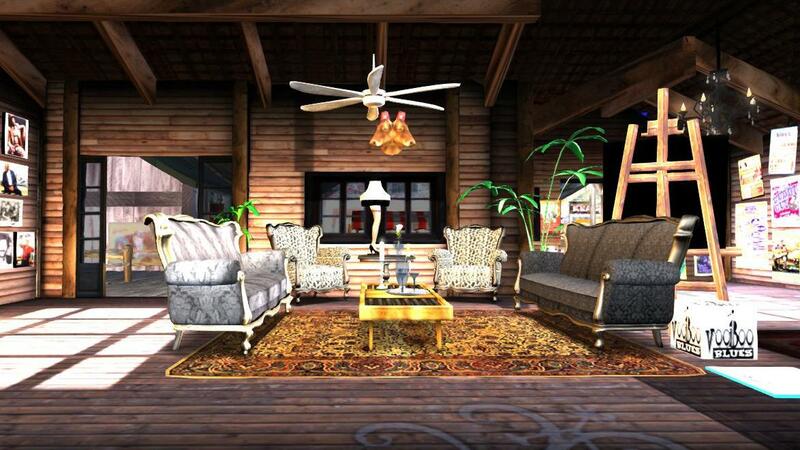 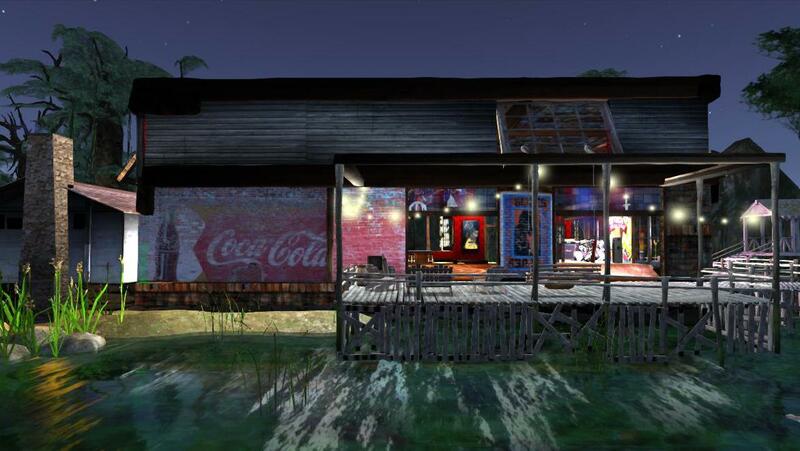 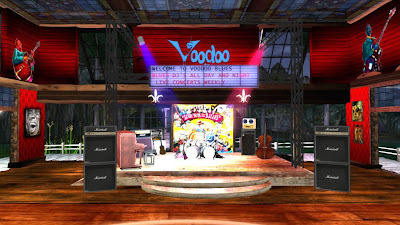 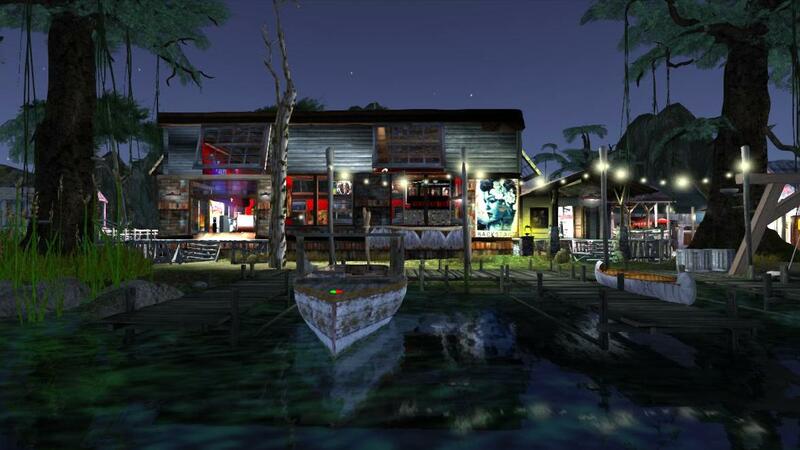 Voodoo Blues is an amazing build, and one of the best I have seen for a club in Second Life at any time. 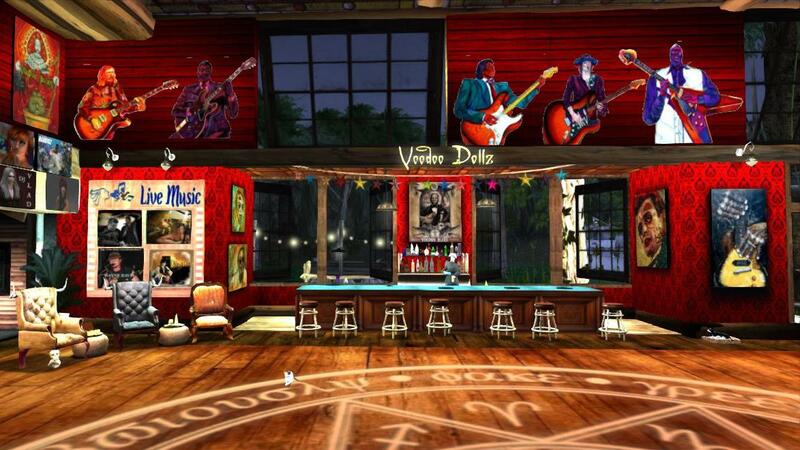 Voodoo Blues is set in the Louisiana Bayou -- a great location for the birthplace of Jazz. 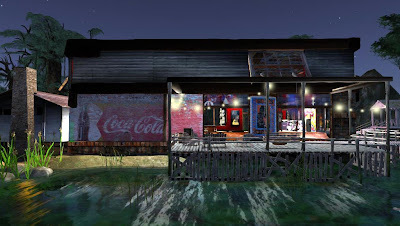 The club advertises a busy DJ schedule, but was empty when I took these photographs. 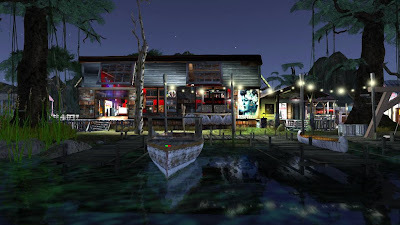 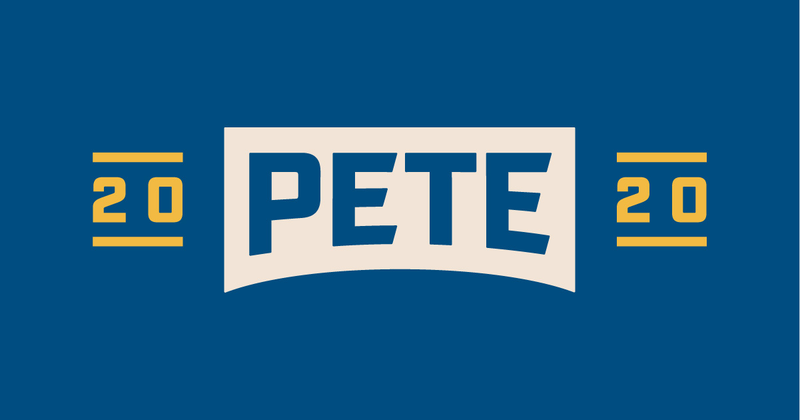 A great place to visit, and an inspiration to anyone building a club which is a destination in itself.